Since 1980, the manufacturing of highest quality latex balloons started in Ho Chi Minh, Vietnam. Now we have expanded to Malaysia as our Brand, Business and Distribution Network Centre. Through the initiative and commitment to produce great quality of latex balloons, it has taking shape to become Decomex Balloon, a global manufacturer and printer of fine quality latex balloons for parties, events, decorations, festival sessions, advertising, promotion, gifts, toys and educational tool. Decomex Balloon, the fine latex balloon company is an organization of dedicated people committed to highest quality, innovation, safety and value in everything we do. We focus in the business areas of latex balloon production and printing, distribution of balloons & party products, and manufacturing of latex balloon printing technology. Besides offering great quality latex balloons, Decomex Balloon also provides custom-printed balloons using our advanced silk screen printing machines, and we offer OBM & OEM packaging for international markets. With the advanced chain and batch dipping machines, Decomex Balloon produces the fine quality latex balloons that meet the satisfaction of our customers. Decomex Balloon has more than 60 colours and we can even produce your favourite colours (on demand custom balloon colours). After 30 years, we’ve only just begun! Join us while we continue to celebrate the magic of balloons! 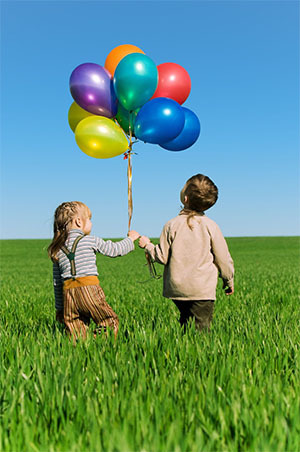 Life is Fun & Wonderful with Decomex Balloon. SAI GON SAO PRODUCTION SERVICE TRADING CO.,LTD. 79, Subway 281 Ly Thuong Kiet Street, Ward 15, District 11, HCMC, Vietnam. Lot 2722, Jalan Telok , Batu 10, Jalan Besar, Telok Panglima Garang, 42500 Kuala Langat, Selangor, Malaysia. 65, Suoi Loi Street Village Bau Sim, Tan Thong Hoi Ward, Cu Chi District, HCMC.